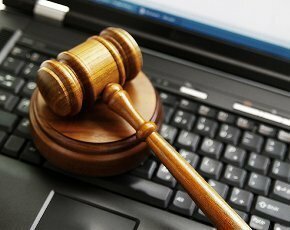 A senior judge has recommended the introduction of digital technologies such as video and online filing to bring the criminal courts into the 21st century. Sir Brian Leveson's review into the efficiency of criminal proceedings outlines ways in which the criminal justice system can utilise IT and technology to reform the courts, without the need for lengthy enabling legislation. Leveson added that criminal justice system currently relies on a combination of long-standing manual processes and aging computer systems. He suggests that the courts need better, quicker and cheaper ways of creating, filing and distributing documents, as well as more flexible ways of communication. The review comes almost a year after the Ministry of Justice (MOJ) announced a five-year programme to update and replace the technology used in courts and tribunals across the UK. HM Courts & Tribunals Service planned to invest an average of up to £75m a year over five years from 2015/16 to deliver more efficient and effective administration of the system, with the aim of saving more than £100m a year by 2019/20. One of Leveson’s suggestions is that the criminal justice system should adopt a common platform for digitising court documents. He suggests a comprehensive online case-management system, which will start with police providing all relevant documentation available through a digital case file that the Crown Prosecution Service would be able to access. He said papers will be created digitally from the outset, doing away with bundles of paper, and any additional material will “slot in” at the appropriate place in the digital file. The courts will still be able to edit, highlight and comment on the electronic papers. “The entirety of the documentation in the case will be filed in an electronic store that will be accessible to those involved in the case whose role entitles them to access the information. The parties will present their cases digitally in court, and it is proposed that the information will be made accessible to the jury (on tablets) in this format,” the review explained. While Leveson acknowledged that the move to digital will provide “common sense” cost savings as well as less waste and more effective use of time, he said it hadn’t been possible to calculate the savings. He also pointed out that defence lawyers unable to take part in court cases digitally may have to pay to get print-outs of statements. The review also suggests using video-link technology to enable remote hearings and for courts to adopt flexible working hours. “Remote hearings enable the Judge, provided he or she has access to the relevant materials, to sit at any court centre or any venue with suitable IT facilities (thereby providing greater flexibility in listing), and they will ease the pressure on courtrooms because the proceedings can be conducted from the judge’s chambers,” explained Leveson. Leveson also called for the police to wear cameras while on the beat to capture evidence. Commenting on the review, Andrew Grant, account director for enterprise services at Ricoh, said: “Streamlining inefficient systems in the paper-intensive legal sector is long overdue. However, its lateness to the party means it has the benefit of being able to learn from the success of other sectors.